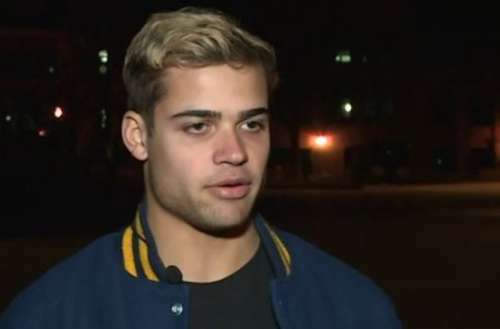 Last October, 18-year-old Jake Bain — a football star at John Burroughs School, a private non-religious prep school in Missouri suburb of Ladue, west of St. Louis — came out as gay and was soon signed to play college football for Indiana State University. Hoping to ride on the coattails of Bain’s national notoriety, the tired old haters from the Westboro Baptist Church (those “God Hates Fags” people) announced a protest against Bain at his school. But the church’s few protestors were met by 100 student counter-protesters standing up for their gay classmate. When Bain came out to media last year, many outlets reported his athletic prowess: over 3,700 rushing yards, a 255-yard performance in the state championship game, his nine returns for touchdowns and school record in the 400 meters footrace. They also mentioned his 3.5 GPA, 28 ACT score and good reputation amongst coaches and teachers. After coming out to his school in a tearful speech last fall, Jake Bain said that being in the closet weighed on him. And even though he received some homophobic abuse online and from football rivals, he got nothing but support from his peers, teachers and coaches. When administrators at the John Burroughs School found out about the WBC’s planned protest of the gay jock, they talked with students and, on Thursday, March 8, sent a letter to parents expressing support for the community’s support of LGBTQ people and details about the 40-minute student counter-protest and a unity walk before Monday’s classes. Bain’s fellow students far outnumbered the WBC supporters, holding supportive signs and rainbow banners. The hashtag #StandWithJake also began trending on social media. 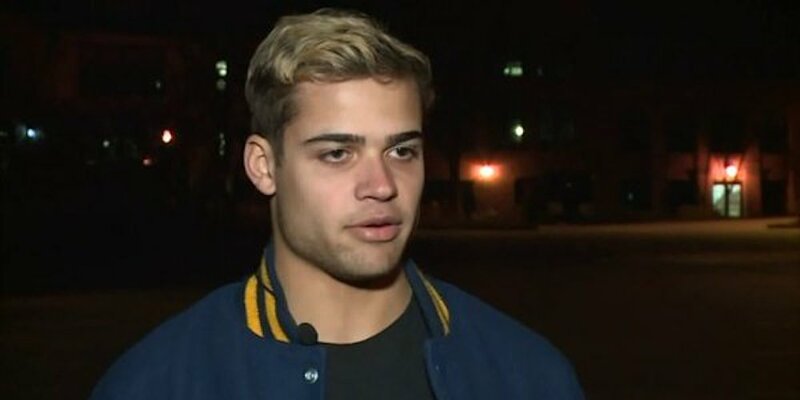 What do you think of this school rallying around gay jock Jake Bain? Sound off in he comments.